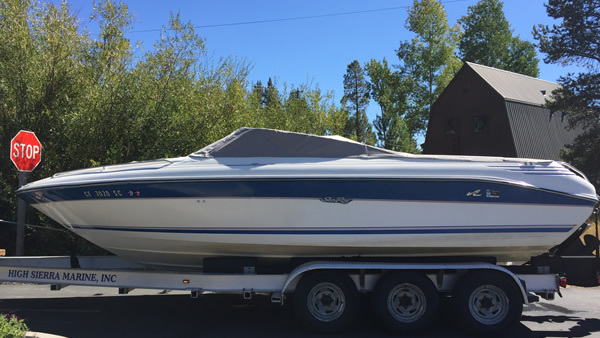 High Sierra Marine also has a 3-acre storage facility, offering both indoor & outdoor storage for Boats, Trailers, and RV’s. 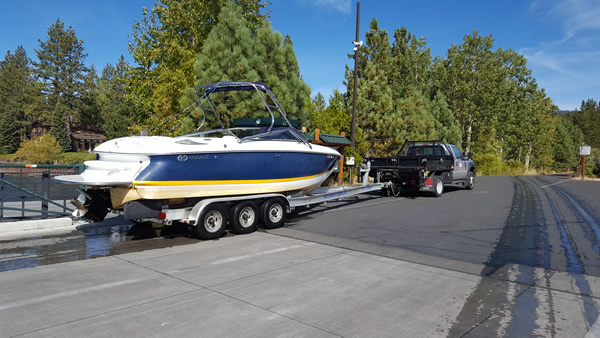 We can pick up your boat from your buoy or boat lift, and transport it to our storage facility. In the spring we can launch it and return it ready for another summer of fun! Please see Pickup & Delivery under Services for more info. We also provide full servicing and maintenance options, such as winterizing, shrink-wrap, oil change, tune-up, detailing, etc.